Air Duct Cleaning & Allergies for sufferers of Hay Fever some seasons of the year can bring on symptoms that can have a serious impact on their quality of life. In the United Sates alone it is estimated that upwards of 35 million people fall prey to Hay fever each year. The condition has a variety of causes, but the primary two are the presence of mold spores and increased levels of pollen. Mold can be present indoors – however pollen can be classified as an outdoor air quality issue. However, it has been found that pollen can take advantage of heating and cooling systems in order to migrate from the outdoors to cause respiratory problems for even those who take care to confine themselves in what are supposedly air conditioned and filtered areas of the workplace and homes. 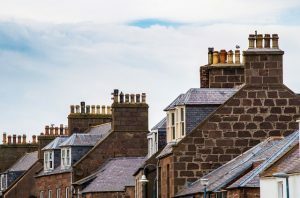 The Environmental Protection Agency has shown that in some cases indoor pollution can be up to two and a half times as severe as the outdoors – especially where great care is not taken to ensure that air ducts remain clean. 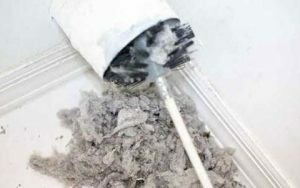 So there is certainly a connection between air duct cleaning & allergies. Once pollen and other airborne particles enter the home they tend to settle in duct systems such as those that are part of central air conditioning systems. 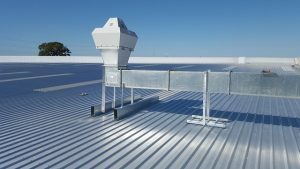 It stands to reason that when these systems are activated the pollen’s and other potential allergens are blown into the living or work spaces. The effect on those who suffer from a variety of conditions such as asthma, a variety of allergies, rhinitis or have respiratory issues or a depressed immune system can be devastating. 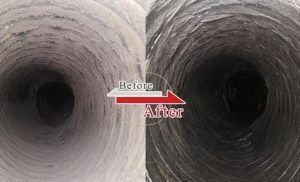 Often the only way of dealing with the challenge of breaking the connection between these conditions and allergens in ducts is to call in a professional duct cleaning company. these are professionals who understand the connection between air duct cleaning & allergies. They have training and expertise and the right equipment to ensure that those in the home or workplace can enjoy a lifestyle free from the effects of this indoor pollution. However, it is not only the migration of outdoor pollutants that can cause health problems due to inadequate duct maintenance and cleaning. 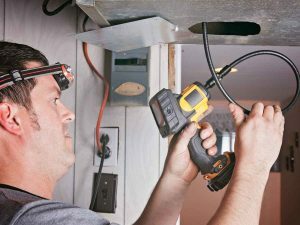 The modern home HVAC system and ducting network almost inevitably becomes dusty and filed with microscopic debris. Clothing fibers, fibers from household furniture and fabrics, even tiny flakes of human skin find their way into ducting systems. This material then becomes the perfect environment for dust mites to live and breed. These mites have been found to be responsible for a number of allergic reactions which affect respiratory health. The mites are a permanent fixture in homes and are almost impossible to get rid of – they are simply a fact of living in the modern home. However, a professional duct cleaning company can use a variety of highly specialized equipment to clean ducts and remove the debris and dust that is essential for the mites to flourish. Using this approach the dust mite problem can be controlled. 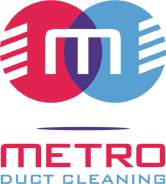 By ensuring that the ducting system is free of contaminants the home or business owner will immediately notice an improvement in air quality. Not only does it make for a more pleasant working and living space and reduce the incidence of allergic reactions but there are other outcomes that are as important. Firstly a clean and sanitary duct system is more efficient. this leads to cost savings as far as electricity is concerned. Regular cleaning and maintenance also reduces the possibility of failure of the HVAC system – and will reduce the likelihood and costs of a major breakdown. Needless to say – regular cleaning will extend the life of the parts that keep the system ticking over. So what constitutes regular maintenance? Homes where there are pets or smokers should be seeking the services of a professional air duct cleaning company more often. A bare minimum of every three months should be a good rule of thumb. 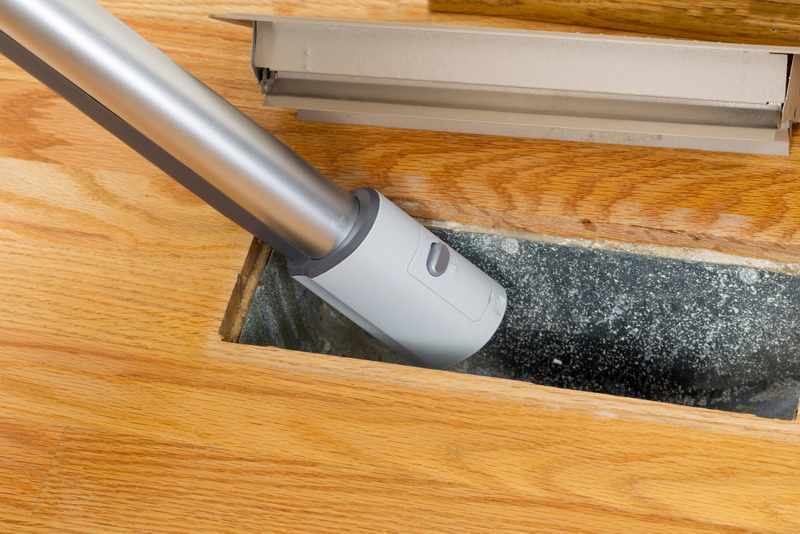 It has been proven that there certainly a connection between air duct cleaning & allergies. Proper cleaning is not something that average homeowner can undertake themselves. it needs a professional to ensure that it is done right. Keep your family healthy and ensure that you egt the help you need sooner rather than later.